How Can Trading Up Solve Your Space Issues? Hi, I’m Debby Adler with the Adler Home Team. Today we wanted to speak to you about trading up. Are you outgrowing your current home and thinking it might be time to look for a bigger home? If so, you are in the market to trade up! There are several reasons that our clients are choosing to trade up. First, buyers want to lock in the mortgage rates while they are at an all-time low. Locking in these rates now is a wise investment. Second, trading up also locks in any future appreciation that a home may have. The more expensive the home, the more it will appreciate in value over time. • Sell your existing home first and then purchase a new one. •Purchase a new home first and sell your old home at a later date. Whichever step you prefer, we are here to provide you with expert guidance and advice throughout the process, ensuring that you make good decisions with the best results possible. Hi, I’m Debby Adler with the Adler Home Team. Today we wanted to speak to you about rising interest rates. Many people have been asking us lately about interest rates and what we can expect down the road. Over the last few years the Government has been buying mortgage-backed bonds at a very fast rate. This has been keeping interest rates at near record-lows, around four and a quarter percent for a 30-year fixed-rate mortgage. However, the Fed has slowly been reducing the amount of bonds they are buying and has announced that they plan to stop buying them altogether before the end of the year. This may result in a jump in rates to as high as five and a half percent come springtime. The higher rates are still attractive to buyers, as interest rates have been around 8% on average for the last 30 years. If you do the math, this change in rates could have a big effect on your spending power. If you plan on living in your home for 10 years, you could save as much as $18,000 by locking in current interest rates. If you have the option of moving today, we recommend you start looking for your next home. 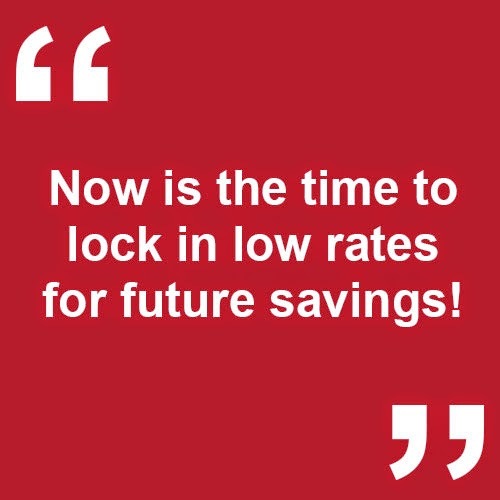 Now is the time to lock in low rates for future savings! Hi, I’m Debby Adler with the Adler Home Team. Today we wanted to speak to you about popular home search websites. Have you been using the popular websites, Zillow or Trulia for your home search? If you haven't heard, Zillow has purchased Trulia. As a home buyer this affects you in several ways. These 2 large sites are coming together and providing data to the public. This may sound great, but the data on these sites is often outdated and incorrect. These sites aren't synced with our local NJMLS like our site is, so you are seeing a lot of inaccurate information. We can provide you with the most accurate values. We have had clients send us listings they are interested in from Zillow or Trulia, only to find out that these homes have already gone under contract or sold. The second problem with these sites is the inaccuracy of home values. These sites use an algorithm to determine the approximate value of your home and don’t take into account information specific to your home and area. We can help you get a true and accurate valuation for your home. If you have any questions at all or know somebody who is looking to buy or sell a home in Bergen County, NJ, please don't keep us a secret. We are here to help and would love to assist you with any and all of your real estate needs.